I make Comic Dubs, Thread Simulators, and other content with over 20 VAs! I'm currently making Mario, Sonic, Undertale, Splatoon, and BATIM related content! In Inkwell Isle, Cuphead and his twin brother, Mugman, lived happily and playful under the watch of the Elder Kettle. One day, the boys wandered far from home and ended up in the Devil's Casino despite the Elder Kettle's warnings. In the casino, Cuphead and Mugman were on a winning streak at the Craps table. 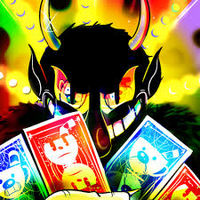 When the Devil came to the table, which was a surprise for the boys, he offered a bet: if the boys won, they get all the loot in the casino, but if they lose, the Devil will take their souls. Cuphead, blinded by easy riches, rolled the dice and rolled Snake Eyes, losing the bet. Cuphead and Mugman begged for their lives, so the Devil sent them on a mission to collect his debtors' soul contracts by midnight, and he might spare them. 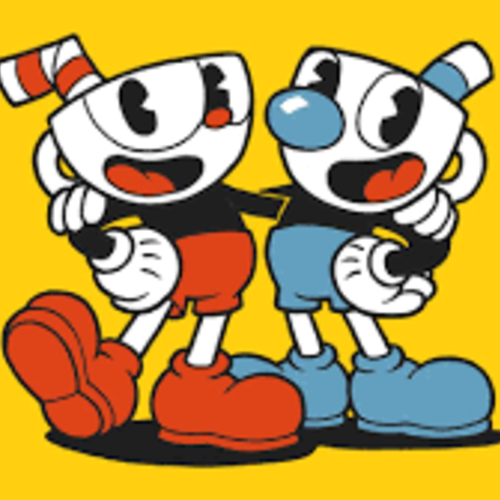 Cuphead and Mugman ran back home to the Elder Kettle for, who gave them a potion that gave them powerful abilites and told them to go along for now. There will be multiple Comic Dubs and all the cutscenes/story will be dubbed as well! 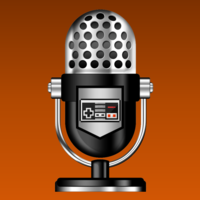 But, when it comes to this, please turn in the lines asap if I send you a comic to dub or a certain cutscene to dub. Thanks for taking a look at the project! If you're planning to audition, good luck and have fun! 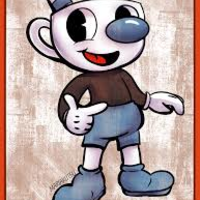 Cuphead is shown to be the more confident, fun-loving and slightly cheeky type, (in contrast to his twin brother) often taking quite the amount of risks. His personality type was mostly inspired by a common type of 1930's protagonist in the early cartoons, which is the "charming, yet trouble-making type". According to the introduction, Cuphead seems to have a slightly greedy personality, where he's willing to risk anything to get them, causing the infamous bet which nearly cost the souls of him and his brother. Despite his flaws, however, he seems to be kind-hearted and overall has good intentions, such as in the good ending, where he and Mugman burn all the soul contracts, setting everyone free. (Triumphantly) We shall accept your surrender, Devil, But we're not done just yet! (Scared) C'mon, Mug! We have to find the Elder Kettle. He'll know what to do!" Mugman's personality is shown to be careful and less rash compared to his brother. This is shown when he begs Cuphead to not make the deal with The Devil, as that would end up costing them their souls in the introduction. (Scared) Good gosh, Cuphead, no! (Reassuring) It's OK. I know you don't want to go through with that. Just let yourself relax for a minute. You'll feel better than if you keep being so hard on yourself. 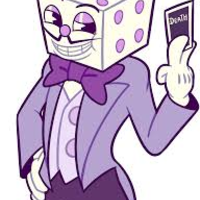 King Dice is an extremely sleazy, deceitful, untrustworthy, and manipulative individual. While normally relaxed and cheerful in a sadistic way, he can be extremely cruel if he wants to be, as shown when he punishes Mr. Wheezy by crushing him under his shoe for losing to Cuphead and Mugman. He also takes his own bets very seriously, going as far as to kill the brothers when they succeed in getting all of the soul contracts after he made a bet that they would fail their mission. Granted, given who his boss is, the stakes were likely to be extremely high themselves. (Confident) The little mugs have some fight in 'em, I'll say that much! They're makin' mincemeat outta them debtors! (Mocking) So clever, so dapper, ya betta' believe this dice is loaded. Hi-de-ho! Much like many depictions of Satan, The Devil is a cruel and malevolent being that grants deals to anyone who asks in exchange for their soul and servitude. He can be a clever trickster as well, turning Cuphead and Mugman into his slaves despite agreeing to spare them if they hand over all of the soul contracts. He also lacks empathy towards everyone, including his own minions, as evident by him calling King Dice a "good-for-nothing lackey" after he has been beaten. (Smug) Win one more roll, and all the loot in my Casino is yours! But, if you lose, I'll have your souls! Deal? (Threatening) Welching out on me just like all the others, eh... I'll teach you for backing out of a deal -- have at you! 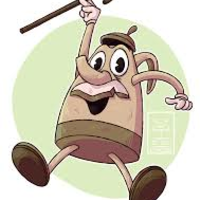 Elder Kettle is a character in Cuphead who acts as the caretaker of Cuphead and Mugman. He is responsible for the brothers' finger gun powers and possibly writing the tutorial. 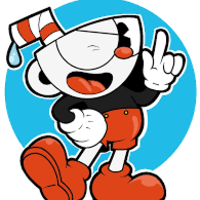 Not much is known about him, except he is well-mannered, kind, and encouraging for Cuphead and Mugman. (Encouraging) Now go to my writing desk and use the mystical inkwell there. You need to prepare yourself for a scrap! (Proclaiming) What a fine pickle you boys have gotten yourselves into! 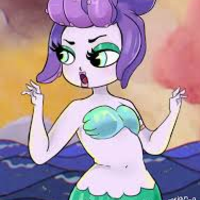 Cala Maria is a flirty being, and seems to have some type of interest in Cuphead and Mugman, seeing as in her intro, she makes a sweet "yoo-hoo!" sound while fluttering her eyelashes. Her first phase death message only helps prove this. However, she seems to become more cruel once she is forcefully transformed into a gorgon by her electric eels. Cala also seems to have a strong connection with fish and aquatic animals, for she can summon them at will to help her, and also use them as weapons without the fish caring much. (Whatever tone you want) You are a cutie...I am not sure if I should catch and release! (Mocking/Threatening) You dare to gaze?! How 'bout stone boots so you can swim with the fishes!